I am honored to have my post published on (Jim) James R. Callan's blog. Jim is a fellow member of North East Texas Writer's Organization, and recently received Life-Time membership. Enjoy my post on Priorities! 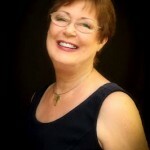 Today’s guest blogger is Lynn Hobbs, an award-winning author. She writes about the importance of setting priorities if you are to achieve anything. She is the author of the powerful faith and family saga the Running Forward Series. The first two books have already gathered in several awards. The third book in the series is being considered for an award in 2015. Stay tuned. Plan on writing daily? Certain time selected? Too often best intentions fall by the wayside. Daily interruptions are unavoidable, but can be managed stress free. It is your choice. Jump in and deal with the problem. Learn from it and continue. Thirty-five years ago, my sons were six and nine years old. During that year, I completed three queen size quilts by hand. How? I sewed during my quiet time at the end of the day… after they were in bed. Yes, I worked full-time. Yes, I worked all night …and yes, I looked forward to this special time. I considered patterns, material, and what would be appropriate for whom. A relaxing and rewarding project, the quilts are still in my family today. I am a positive person. Make time for what you want to complete. As a writer, I experience the same principles and find myself reversing interruptions. Now, I interrupt planned tasks with my writing. Ideas flowing, keys clicking away as I type…yes, that prescription refill I called in can wait until tomorrow. I’m not going to stop and drive twenty miles one way to purchase it. One of the best time savers is to avoid as much time-consuming travel as possible. Once again, priority matters. For nearly two years I drove over an hour and a half, one way, to writer’s meetings twice a month. Another was over two hours away. Two others twice a month were local. Add time on the road spent driving to critique meetings, workshops, conferences, etc. and your priority’s change. Sometimes it is necessary to say no. Residing in a rural area, I still cultivate my writing craft, but it’s accomplished more often online. What about the people? With social media, established friendships made at the meetings aren’t lost, they grow. Of course, nothing can replace the personal time spent during one on one with readers. Speaking engagements, book signings, marketing and writing time are increasing as my hours become more flexible. Another critique site is www.constructivecritiques.com Karlyn Thayer, an experienced editor, and writing instructor offers a free critique of your novel or short story up to 1,000 words maximum. Your time is valuable. I have found the old cliché to be true, ‘you cannot please everyone.’ I have learned that one size fits all… does not apply to writing. Progress is measured differently by many. Stay true to yourself and your goals. As a published Christian fiction author, my goal to give readers a clear understanding of a Christian viewpoint by the actions of my main character was realized in The Running Forward Series; a powerful faith and family saga. Book one: Sin, Secrets, and Salvation, won 1st place in Religious Fiction for 2013 by the Texas Association of Authors. Book two: River Town, won 1stplace for Religious Fiction with the same organization for 2014. 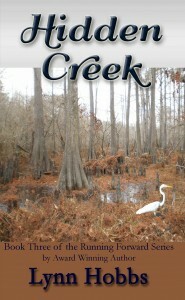 Hidden Creek, concludes the series, and yes, it is being considered for their 2015 contest. Writing methods and the industry change daily. Set priorities will not only be beneficial to your writing, but will establish a more rewarding experience. JIM: Thanks, Lynn, for reminding us to set priorities. Visitors, if you have a moment, leave Lynn a comment on how you set your priorities to find time for what is important to you. Thanks.